Evening chaps! The lovely Alyssa, owner of Arcobaleno Jewellery Design asked if I'd like it if she designed a piece for me, of course, I was like....erm yeh! We had a little chat over email and I said I normally go for either chunky funky type jewellery, or more nautical, rockabilly stuff for my more retro days. 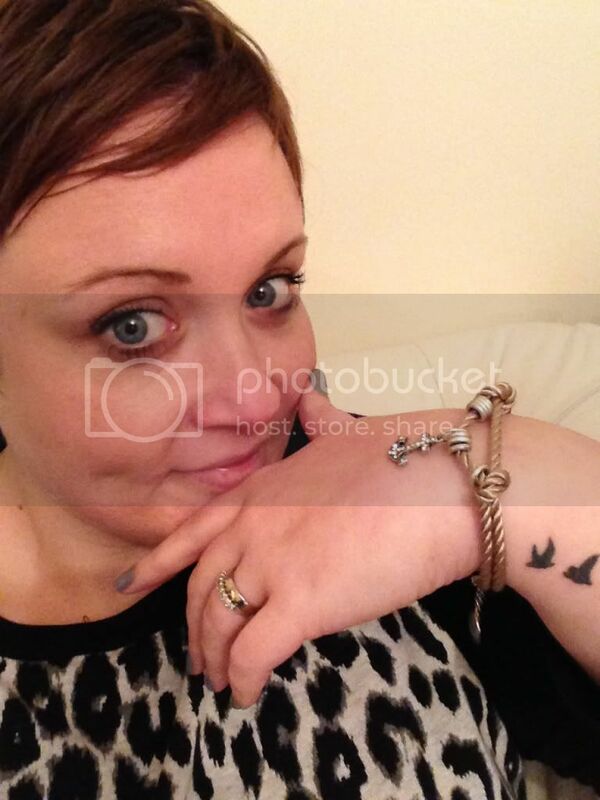 Within a couple of weeks I got the cutest parcel with a the loveliest bracelet and a bonus pair of earrings. 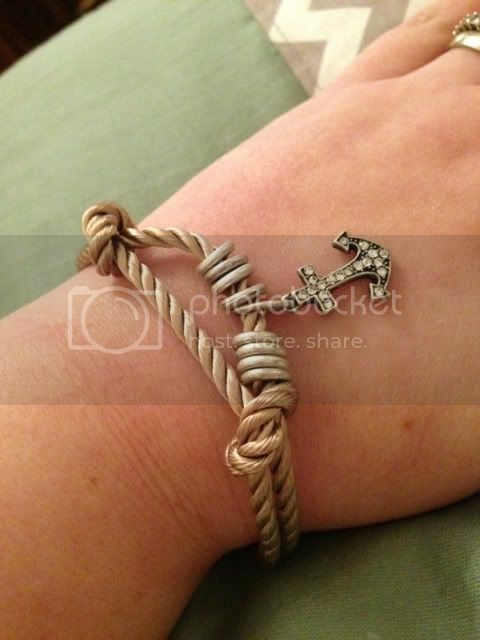 The beautiful bracelet is made of a twisted rope style fabric with silver loops and cute anchor, the fastening in the back is a silver chain and sweet little "made with love" tag. 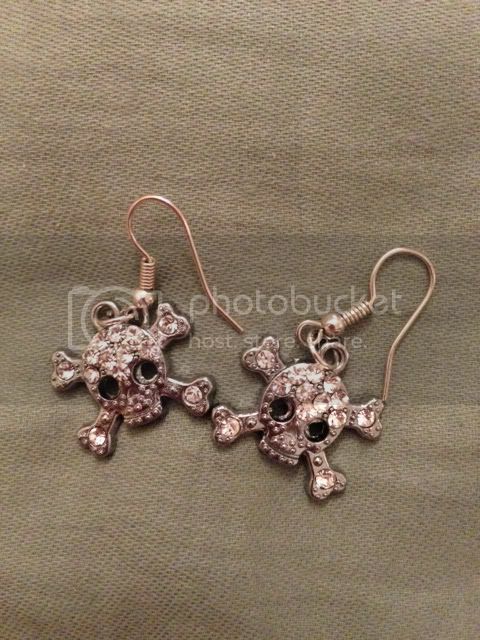 Alyssa very kindly sent me these skull and crossbones earrings too, I wouldn't have normally picked them for myself, but I love how they look on! Alyssa has some really exciting stuff in store for Arcobeleno so keep checking back with the web-shop for more beautious goodies!! Skull prints and jewelry that are so popular these days seem so morbid to me. 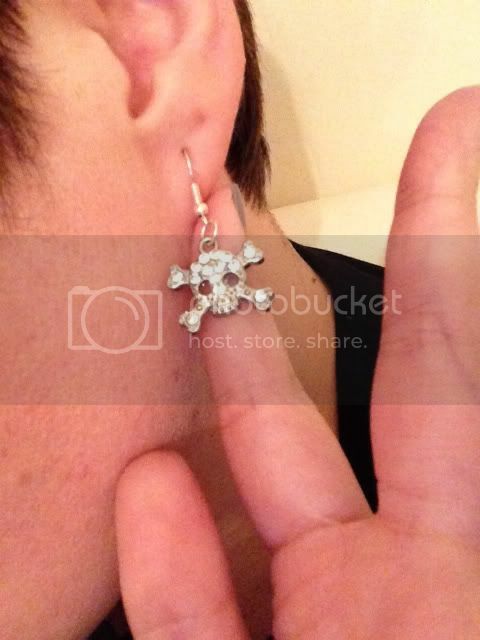 But this earrings are piraty and cute! That's a different thing in my books, love them! 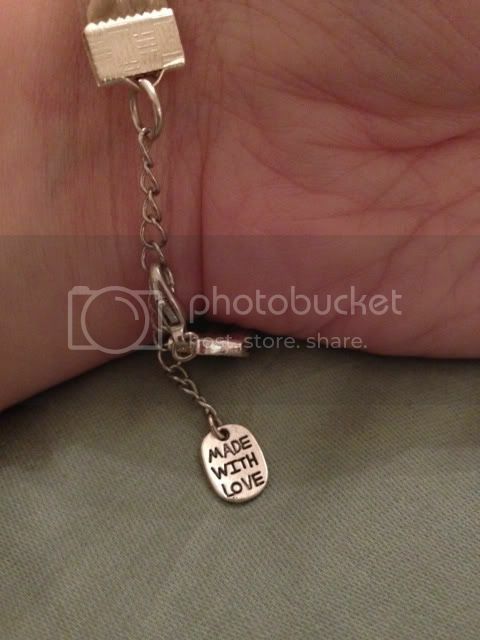 A very pretty bracelet, it's actually pretty dressy you could wear with a pretty vintage dress or jeans and a tshirt. I'll be checking out her folksy shop for sure. It looks very Chic!! It is certainly attention grabbing jewellery.